This week Spark Foundation and 20/20 Trust announced the availability of affordable broadband to families in Pukekohe and Te Puke, enabling students to keep up with the digital skills necessary for today. Whānau Resource Centre o Pukekohe Charitable Trust and the Te Puke Public Library are running Spark Jump workshops for their communities. 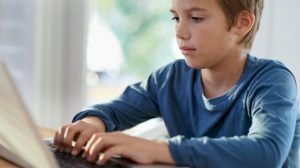 As classroom learning goes digital, students without broadband at home are at risk of being left behind. Spark Jump enables more children to go online outside of classroom hours and get on the right side of the Digital Divide. Families with children up to the age of 18 and no current broadband connection are eligible for the programme. They will receive a modem and a wireless broadband connection and pay $10 for 30GB over 30 days with no fixed term contract. As a pre-pay service, the modem can be topped up at any time in the same way as pre-pay mobile phones. In Pukekohe, the Whānau Resource Centre will help families set up and manage their Spark Jump internet connections. Interested families from these areas should contact the Resource Centre (see details below) to find out how they can join the programme. Puawaereti Ryder, Manager of the Whānau Resource Centre, says “We’re passionate about empowering our community through education and it’s important to keep up with the skills necessary for today. Spark Jump will help families and their children in our community with this,” says Puawaereti. 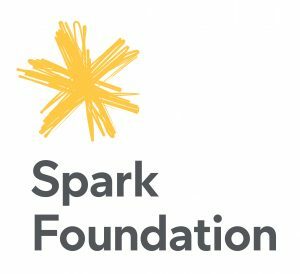 In Te Puke, the library will run the Spark Jump workshops. Interested families should contact the library (see details below) to enquire when Spark Jump sessions are being held. Amanda-Jane McFadden, Team Leader at Te Puke Library and Service Centre, says Spark Jump will help close the gap between families who can afford home broadband and those who can’t. “Access to the internet is critical to get our children better placed to do amazing things in school and later in life but for some families home broadband is not affordable. We know that Spark Jump will help more children in our community thrive,” says Amanda-Jane. There are now 46 organisations and partners supporting Spark Jump. “We’re pleased to serve communities around the country with a truly useful product like subsidised broadband. We’re excited to see more homes in Pukekohe and Te Puke turn into digital learning environments to enable students to thrive in the digital world,” says Lynne.